This post was originally published on 1/26/2010. 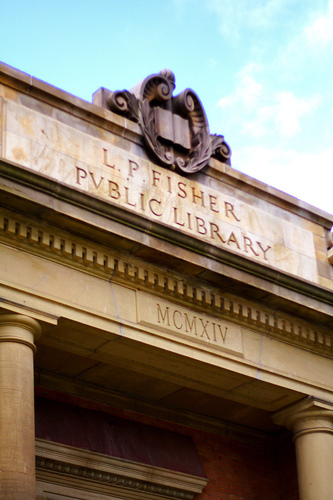 Your local public library is an excellent (often untapped) wealth of scholarship information. You can find this information in two places. First: There are whole sections in your library devoted to books about searching for scholarships. Run a quick query and you will probably find at least 20 books. The second spot is the “community news” bulletin board when you walk through the door. Many local organizations will post their scholarship ads or applications on these boards to attract motivated students to apply for their scholarships. You also could consider speaking with one of the library employees. More than likely, they have been approached by someone offering a scholarship and they could be an invaluable source of information! I still think that public libraries are completely untapped sources of scholarship information. In fact, I stop by my local library a few times a week to pick up book and audiobooks and I always notice the “community news” section in the foyer. The last time I was in, I asked the librarian about the board, and she said that they routinely get calls every week from scholarship organizations that want to post ads on their boards. She said that these organizations have made comments in the past about how difficult it is to find high quality applicants for their awards. This is a golden opportunity for any high school juniors or seniors who are motivated! Stop by your local library, speak with the librarian, and ask them about any scholarship opportunities that they are aware of. I would love to hear if this works for you. Please try this soon, and report back how successful you were! That’s a great tip. I didn’t even know that and I drop by the library every week. @Rb40 — I definitely don’t think you are alone at all in not knowing that. Hopefully your library has some great resources for you to look into! Wow… who knew! Thanks for sharing that tip. @Doctor Stock — Glad to be able to share the tip. I hope it helps you! Excellent advice. We have a freshman that is already thinking big dreams about college. @101 Centavos — That is great. I hope you are able to find some great resources at your local library!